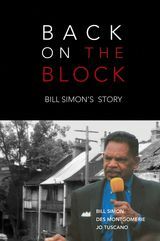 Pastor Bill Simon lives on the Block and ministers to the community there. He comes from the ‘stolen generation’ and had been in prison himself in his younger days. He came to the Block in the early 70s as a teenager to stay with family, spent some time away, and has been back for about twenty years. He shares his early memories of the Block and his hopes for the future..
I’m one of the stolen generation. I came in here to find most of my people. I especially came in here to find my mum, Grace Simon, known now as Grace Dundas. I was around about sixteen, seventeen, when I first came into the Block here from <?xml:namespace prefix = st1 ns = "urn:schemas-microsoft-com:office:smarttags" />Bankstown. Of course it was a lot different then to what it is today, especially going into The Empress [an Aboriginal local hotel] and other places like that. There were so many two-up schools around here and for us as kids even going to smoke was pretty bad, let alone drink. We had our elders here and everybody took notice of what the elders said to them and that’s how we lived our life. I remember at one stage we used to have a coffee shop near the station, it used to be called Snowy’s [a caravan setup that sold hamburgers and pies] and all of us, when The Empress had finished, we’d all go there and get hamburgers and pies and something like that, something to eat, and then come back home down here. I lived with my uncle, Noel Jackson, Noel Saunders, Jackson was his nickname, him and Aunty Elsie, Aunty Elsie was my dad’s first cousin. They lived down Eveleigh Street. Part of The Block here is Aboriginal land and they feel at home on their own land, whereas the rest of us, the majority of Australia, they can’t do that. There are so many missions around Australia that the white man has put us on, they feel at home on them I suppose. But this is central to all indigenous people, to all the Aboriginal people, to all the Kooris, they know this is their home here. It is a block of land that hasn’t been taken away from the Aboriginal people. We’ve got our own housing company here and things like that. We just like to live out our life here to the best of our ability, and our kids. Now today we have a lot of things, situations, that are going on today. The police coming in trying to find out what they can do with the Block. A lot of the elders around here, most of them have already been through the hard situations, through the years and the years and the years of fighting the poverty and fighting with the police. The Christians have tried to come in and put their bit in, tried to help and all that, but there are so many different kinds of Christians here now. We’ve got the Seventh Day Adventist, we’ve got the Pentecostals, we’ve got the Uniting, we’ve got the Catholic, we’ve got the Anglicans, we’ve got the Presbyterian. They’re all coming in thinking that they know what is best for the Aboriginal people here. It is a bit confusing for the people that stay here. I used to have my house full up with seventeen or eighteen kids, runaways, from Queensland, Melbourne, Brisbane. My son was like a magnet. All these young blokes seemed to follow him everywhere and he’d bring them all home and ask if they could stay there. I’d always have a big pot of soup on my stove, down at 65 Eveleigh Street, so when they came in they had something to eat. I would get them their fares. I’ve had lots of complaints, elders have come up and said their son has done this, their son has done that, they’ve pawned this and they’ve pawned that… Once these addictions get a hold of your life, get a hold of anybody’s life, it goes. I know through personal experience as being one of the stolen generation of all the hurt and heartache that was in my heart, because I blamed my mother for letting the white man take me away to the boy’s home. I didn’t know in my little mind growing up, eight or nine years of age with my other three little brothers with me when the police and the welfare came and they grabbed us and I cried out to mum for help, I didn’t know that she couldn’t stand to see us being taken away from her and how much the pain and hurt would have been on the mother’s side. I didn’t know all that. I’m only a little boy and I’m crying out for my mother. Now I spent a long time in the homes and all that time I never ever got a visit from my family. The staff told us that they didn’t love us, they didn’t want us. We believed that. Everyday they told us that so we believed them. They also told our families that they weren’t allowed to come and visit us. So we were believing them because we never ever got a visit from our families. All the time being told this everyday for nine years something builds up in there. The government haven’t got any idea what they have done to the Aboriginal people when they’ve taken them away, the young people. How much disruption they’ve caused in a family. They haven’t got any idea about it. They don’t know that saying sorry is going to start a healing in this land, in this nation, because Aboriginal people are family oriented. You do one thing wrong against one of them, you offend the whole nation. So saying an apology to one part of it, it might only be five per cent, who knows how many were taken, as long as they apologise to them, that means they are apologising to the whole nation, the Aboriginal nation, of Australia. Then the healing can start to take place. Now they sit out there and they do this and they do that and they know that I’m here and I don’t do that, what they’re doing. That’s letting my light shine, you see. They come here and I give out a soup kitchen to them. I give them curried soup and things like that every Tuesday. Actually I’ve got my pot on now, I’ll be putting it on later on. I give them a feed. They love it. They come and have a feed, have some bread and that. If any of them lets a swear word out someone else will always say, 'Don’t swear with the pastor here.' I get that kind of respect. So I’m letting my light shine in that area. There is so much hurt, in our people there is so much hurt, with the police coming down here all the time, it is only adding more and more pressure to them. So my aim in life is to see that burden and lift it off my people. Not only here, but I believe this is going to be a landmark. When I was taken away I was given a number and I was only a little kid, so were my three little brothers. We were given a number and we were known as inmates. I went to Canberra and I found out what the term for us, the stolen generation, was in them days and it was inmates and we were given a number. My number was thirty-three and I was known as thirty-three in the homes all the time I was there. When I left the home I went down to Bankstown and at eighteen years of age I cracked a window, a shop window, a big shop window. I went to court and I ended up in Long Bay Gaol and I was eighteen. When you go to Long Bay Gaol you are given a number. Do you know what my number was? Thirty-three. You are never taken off the list. Wherever I went in the gaols my number was always thirty-three. It is like a rock spider. I’ve done five years in gaol and nine years in a boys’ home, and three years in gaol before I became a Christian, and five years in gaol after I became a Christian. We grew up being prisoners. It was the government of that day, of that time. The main reason I suppose we are all here is, is we are all caught up in this little world here, because this is where it all started. When Cook came over here, the Aboriginal people got hoodwinked and that’s still going on with the government today. They say they will do this and they’ll do that. Where has all the honesty gone? It’s gone out the window, hasn’t it? It has got to start with our people, with our own people because it is our own people that are getting hurt and it is our own people that are dying. These things we need to get together. If we can all centre in on one. Times have changed a lot here on The Block, you know. People will tell you about all the bad things, that’s what makes news, and books and all that. People need to hear the good things that happen here as well. Now there are a lot of good things that happen here. Up at the top up here Tony Mundine, his electricity needed to be fixed up. I was up there painting and this young guy came in to fix up the electricity. He was a bit frightened, and I sort of quietened him down and said, ‘Just keep on doing what you are doing and don’t worry about outside there.’ I just told him my testimony, how I became born again, how I became a Christian and all that and how all fear was taken away from me. It must have got to him and I asked him what he thought about Christ and all that and would he like to receive Jesus into his heart, and he said yes. So I prayed for him and he committed his heart to Jesus Christ. Now he went back over to North Sydney to a church over there and he told them that he came all the way down to Eveleigh Street here, and he came down here and he received Christ Jesus into his heart and became a born again Christian. That all happened here, you see. People don’t even know about that. They don’t want to hear stories like that, good stories that happen here. I think the quicker we can pull together for the good of the people on the Block, the better it will be. In other words for the good of the nation because the whole of the nation is riding on the Block. The Aboriginal nation is riding on the Block. What happens here will be not only for people on the Block but will be for the nation itself because people are judging us, Aboriginal people, by what is happening on The Block. So the quicker we get the Block cleaned up, the better for everyone. in our lives is understood.